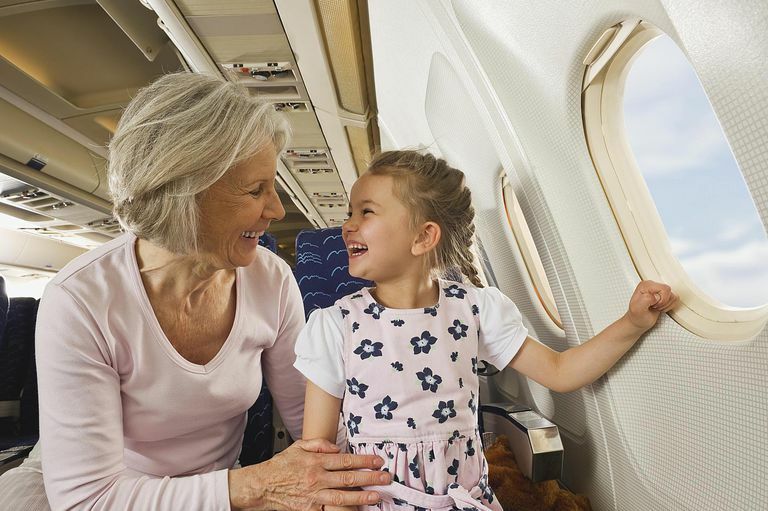 Traveling with grandchildren provides a wonderful bonding opportunity for grandparents. Planning ahead for any documents you will need will help everything to go smoothly. While you can pick up some items at your destination that you forgot to pack, it isn't easy to get or replace a passport or another vital document. Know what you need before you go. Thankfully, grandchildren won't need any ID for domestic road trips with grandparents. In addition, airlines and trains don't usually require any form of ID for children under 18 for domestic travel. Still, it's never a bad idea to bring some ID anyway. Photocopies of the grandkids' birth certificates should work fine regardless of circumstance, so keep those in a safe spot. A notarized letter from the parent(s) giving permission for medical care. Copies of the grandchildren's insurance cards. Don't forget prescription cards, cards for dental insurance, and secondary insurance cards if applicable. The name of the parent(s). Consent from the parent(s) to allow their child(ren) to travel with their grandparents. This should also include all children's full names and ages. The name of the grandparent(s). The travel period from departure to date of return. Add a few days before and after in case of any travel changes. The signature of the parent(s) and the date. Contact information for the parent, including the full address and any major phone numbers. The name of the notary and the date notarized. You may need to include more details in your letter if you're traveling out of the country. If a grandchild's parents are divorced, documents should ideally be signed by both parents. Sometimes children are transported across borders during custody disputes, so both signature help alleviate any potential issues. While it's legal for grandparents to transport their grandchildren without a letter of permission, it's a safeguard against any potential emergencies or law enforcement issues. Getting the letter of permission notarized by a licensed official adds an extra layer of security to your document. There are many businesses that will perform this quick signature process with you, including banks, law offices, CPAs, and mail services like UPS. If you're traveling to Mexico, Canada, Bermuda, or other areas of the Caribbean, most grandchildren 15 and under can travel using certified copies of their birth certificates instead of a passport. However, this provision applies only to travel by land or sea and does not apply to travel by air. Children must have passports for air travel. When taking a cruise which returns to the port of departure, Americans will not need passports to re-enter the United States. They may, however, need passports to disembark the ship in foreign ports. Passengers should check with their cruise lines or, to be safe, carry passports regardless. In general, some travel authorities suggest that you obtain a limited power of attorney if traveling abroad with grandchildren. This adds an extra measure of protection if something goes wrong. The Western Hemisphere Travel Initiative (WHTI) is a United States legal framework that requires travelers to present a valid passport, or another approved secure document when traveling to the U.S. from places within the Western Hemisphere. Even small children and infants need a passport for air travel overseas. Children can no longer be added to a parent's passport, as was once allowed. If a child doesn't have a passport, both parents should appear in person to apply for one. When that's not possible, other paperwork will be required. Grandparents who want to take their grandchildren abroad should be reminded that the passport process can take a while, and so it should be managed far in advance. Some countries also require a visa for entry, and vaccinations may be required in some cases. Before booking a trip, check the U.S. Department of State's website for country-specific information. You'll also want to revisit this a few days before your trip for any last-minute issues.